Boosters of Spokane’s downtown and its sports offerings held out hope Tuesday that a plan to build an outdoor stadium near the Spokane Arena isn’t dead. They may have hope just yet. City Councilwoman Lori Kinnear said late Tuesday afternoon she was working to convince her colleagues to reconsider their vote to shelve the issue. 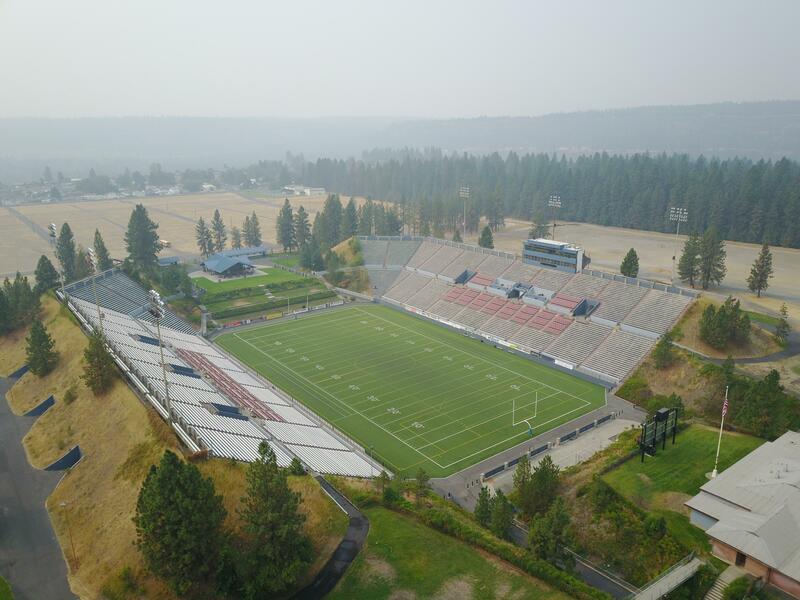 A split Spokane City Council voted 5 to 2 on Monday to indefinitely table a request to ask taxpayers to fund the additional $10 million required to build the stadium downtown. That was part of a $31 million bond measure that was intended to supplement larger requests from Spokane Public Schools and the libraries to build new middle schools and overhaul the city’s library system. A majority of council members said they couldn’t request more of the taxpayers to pay for a parking garage when there were other concerns in the community, including public safety. Mayor David Condon accused the council Monday of being shortsighted by refusing the put the issues before voters. On Tuesday, those who have a stake in the future of development on the north bank of the Spokane River agreed. Stephanie Curran, chief executive of the Spokane Public Facilities District that has agreed to operate the downtown stadium, said she understood the council’s reluctance to support a parking garage. But, she said, one would be necessary to support the downtown stadium, and all of the potential economic benefits that would come with it. Worthy, who said he purchased the downtown hotel near the river in part because of future plans for sports in the area, believed lawmakers should have left the decision to voters to determine whether they wanted the new facility. Both Worthy and Curran suggested they’d be open to a deal to make up the funding for the garage, which has been the lone sticking point in a three-way partnership between City Hall, the school district and libraries. Curran said no one had made that request to the Public Facilities District, which is in its own process of designing and building a $42 million facility in the same area that would house indoor track and field, basketball, volleyball and potentially hockey. Nick Mounsey, a partner in the $12 million renovation of the old Wonder Bread building at Broadway Avenue and Lincoln Street, testified in support of the downtown stadium before the City Council on Monday, despite the vote earlier in the day to table the request. Mounsey said most of his development’s garage, enough for more than 400 vehicles, would be available for use on evenings and weekends if the concern was about parking. Mounsey said he also believed the issue should be on the ballot for voters to decide in November. “Apparently, they made a decision they didn’t think the voters could handle,” Cornfield said, emphasizing his plans for the stadium didn’t just include soccer, but also other events such as concerts, church gatherings and wine or beer tastings to fill the 5,000-seat venue outside of sport seasons. Bobby Brett, who owned and ran the Spokane Shadow soccer team at Joe Albi until the condition of the turf prompted an end to the franchise after the 2005 season, said he held out hope the downtown stadium could be revived. Brett suggested the school district write its bond language to allow construction of the stadium at either site. The issue of parking could be decided later and could include potential private parking partnerships, he said. “Our suggestion would be for everybody to take a step back and take a big breath,” Brett said. But the clock is ticking if there is to be taxpayer involvement in the construction of any parking structure to support the stadium. The city has until Tuesday to submit to the Spokane County auditor its ballot language if it’s to appear before voters in November. “We haven’t really heard from the public, everything’s been too rushed,” Kinnear said. The City Council will be able to take testimony at the meeting Wednesday, scheduled to begin at 7 p.m. in Centennial Ballrooms 300 C/D at the Spokane Convention Center. It can’t take action on reconsidering its vote to shelve the stadium because it hasn’t been posted to the public. However, Kinnear said there’s still the option of calling a special meeting before Tuesday if lawmakers are swayed by public testimony. The school board and library board will also finalize their ballot requests at the meeting. Published: Aug. 1, 2018, midnight Updated: Aug. 1, 2018, 7:04 a.m.